No, sorry... but the matter can be discussed. The current model for the app is : free and full-featured app, but with ad-support. BTW, since I have recently received a complain about the permissions needed by the ad banners to work, you have to know that I would gladly make an ad-free version of this app if a few people ask for it, but it would be a paying app, with a very small price. For the time being, nobody has asked for such an ad-free version. - Why are all the permissions needed ? These permissions are only designed to enable the ad banners to work. Read above, too. Airpush is the ads provider I use for this app. Since August 2014, Airpush has now to conform to the new strict Google policy concerning the ads management in Android apps and devices ("Advertising ID" -> more on this here : http://marketingland.com/google-replacing-android-id-with-advertising-id-similar-to-apples-idfa-63636). The pop-up explains precisely how the ads work and your consent is needed to display them in the app. If you validate "Ok" in the pop-up, you authorize the ad to be displayed as usual by opting in (then, you will not be bothered again). If you tap "Cancel", you opt out and the ads will not be displayed for this session of use for the app, but the dialog box will appear again next time (I can't do nothing about it, but I suppose you can change your advertising parameters in your device to take care about that...). - How can my friends and me share the same color palette ? You can choose the "change color" functionality which relies on numbers. Enter the same numbers on each device (they will be saved after the changes are completed). To those who think it's a very basic solution : please note I thought first to implement a "bump" functionnality to share a palette, but, as I tested the app, I became less convinced it would be a great idea. If you think the opposite way, let me know ! - Would you support larger grids (7, 8, 9, 10, etc... cards) in this app ? Well, why not, if I receive a few mails asking for this option. - Does Color Vote still work on Android 1.6, 2.0.x, 2.1.x, 2.2.x devices ? I just read that, with the 1.0.9 release, Android 2.3 was the lower compatible version now for the app. – Several small bugs fixes. By request, grids with 3 and 5 cards added. Last upgrade available for Android 1.6, 2.0.x, 2.1.x and 2.2.x users. – Several small bugs fixes. Change of ads provider from Admob to Airpush. – Several small bugs fixes (on very specific Android versions). Screen rotation managed. 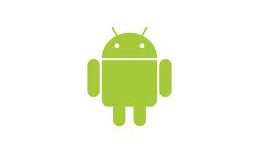 – Several small bugs fixes (on very specific Android versions). Ads rotator added. – Minor translation corrections. Switch of ads provider.